There are a number of things we need to take into consideration before fitting a Tow Bar to your vehicle. We will need to know the weight of both your car and the item you will be towing. We are able to fit Tow Bars on the same day. Our tow bars come from trusted suppliers and we have fitted many so you can be confident in the knowledge that your caravan or trailer is secured by a J A Price Motor Engineers fitted towbar. We are able to carry out work on all different makes and models. 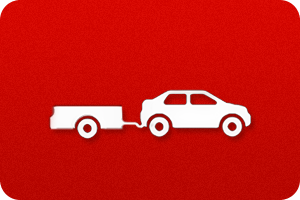 Our mechanics have worked on Tow Bar Fitting on a wide range of vehicles. J A Price Motor Engineers believe the customer comes first. Our Tow Bar Fitting specialist will talk you through the problem and will only replace items that are necessary.